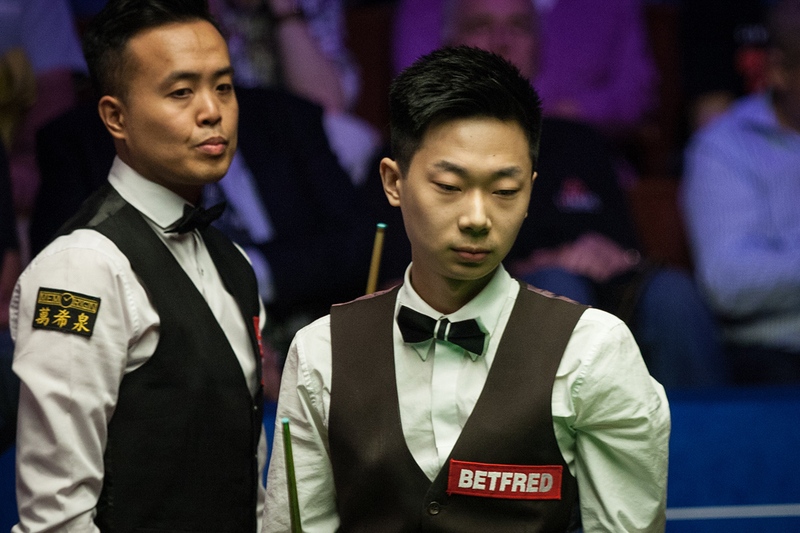 Lyu Haotian, one of a growing army of talented young Chinese players on the World Snooker Tour, enjoyed a superb 10-5 victory over Marco Fu in his first appearance at the final stages of the Betfred World Championship. It was a tough return to action for Fu, who has missed the last three months after undergoing laser eye surgery for retinal degeneration. The three-time ranking event winner was clearly rusty, but that’s to take nothing away from his 20-year-old opponent who showcased his break-building skills. Sheffield-based Lyu has had his best season as a pro so far, notably reaching the semi-finals of the Northern Ireland Open. He now faces Barry Hawkins or Stuart Carrington in the last 16 at the Crucible and will be confident of another deep run. Breaks of 122, 127 and 87 helped Lyu build a 6-3 lead in the first session on Saturday. 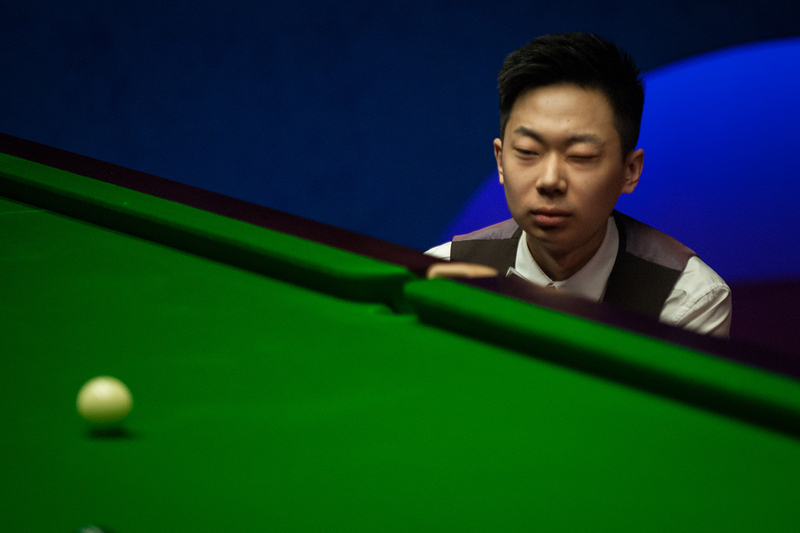 Fu, a former Crucible semi-finalist, failed to score a point in the first two frames tonight as Lyu extended his advantage to 8-3. A run of 49 gave Fu frame 12 and he then found some rhythm with a 120 in the next to close to 8-5 at the interval. But there was to be no fight back as Lyu compiled breaks of 79 and 61 to win the last two frames. “I’m very happy to win, it was a really enjoyable match,” said Lyu in his press conference, via an interpreter. “I’m happy to have been able to perform well. I was expecting to be nervous on my debut, but it turned out to be very enjoyable. I know Marco was not feeling well about his eyes so maybe that affected his performance and contributed to the result. “I just hope to continue to give this kind of performance in the next round. I never think about winning the tournament, I just want to play well, especially at this venue. Fu said: “Overall, between the two sessions, Lyu was by far the stronger player so 10-5 is a fair score. Lyu was superb. I’ve played at the Crucible as a 20-year-old myself and I know how difficult it is, but for him it was just like practice. He rose to the occasion, and I think he played even better here at the Crucible than he did in the qualifiers.